Mimi Cartee: M.G. Newell was founded in 1885 in Greensboro, NC. We were basically a farm goods store selling all supplies and machinery to farmers. At one point, we even sold Harley-Davidson’s! In the early 1920’s, we began specializing in the dairy business; selling butter churns, hoses, valves, heat exchangers and other dairy supplies. As our business grew, we continued to specialize in sanitary processing by expanding to the food, beverage, pharmaceutical and personal care industries. Cartee: Our core philosophy has remained the same – “We Make It Work Better”. 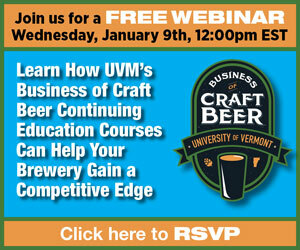 Our goal is to help brewers by bringing our experience from other customer segments. We’ve helped other food and beverage companies expand their production lines, implement CIP and COP systems and improve their processes. The basic concepts of sanitary processing apply to everyone. Cartee: Within the food and beverage industry, we typically work with the maintenance group and the engineering teams. The maintenance guys know where the headaches exist in a process, so we ask them lots of questions as we walk through their day-to-day operations. We want to eliminate those headaches. We also understand that budgets are tight for most brewers. Finding a solution that fits their budget is a win-win for everyone. 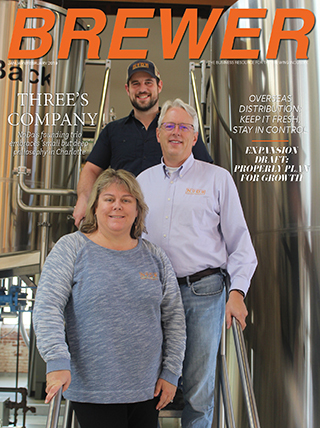 Cartee: A brewery in North Carolina purchased a standard brew house system. 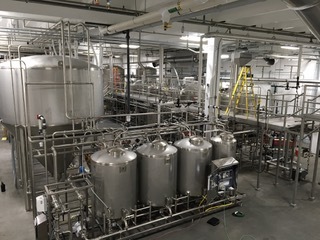 We were contracted to install the system and run the piping to connect everything. Our welders and engineer recognized that the standard configuration wasn’t a practical fit for the space in the building. They re-arranged the configuration, moved the heat exchanger and then ran the piping. The final outcome was a work of art! The brewer loved the more-efficient layout. Cartee: Our latest system is a liquid gassing/degassing system. It is a modification of technology used in the production of carbonated beverages. By using hollow-fiber membranes, one can quickly and efficiently carbonate or nitrogenate a beverage in one-pass. The technology is highly effective – controlling CO2 to 1ppm. We have a small, portable version for smaller brewers (10-15 gpm) and in-line systems for larger volumes (>25 gpm).